Well, it’s that season again! People are breaking out their checkbooks and making resolutions for the new year. I know it sounds like I’m talking about the holidays, but I am actually talking about the end-of-year technology purchasing season. I have been in the technology industry for most of my career and have always been surprised by the number of new purchases made in December. We thought it may be different serving the grantmaking industry, but it isn’t. The primary reason people buy in December is a function of their organization’s budget. Typically they are spending leftover budget or dipping into next year’s funds for a purchase they have been wanting all year. So, rather than fight the trend, let me offer some advice to help make your new year happy and keep your buyer’s remorse to a minimum. Are you spending leftover budget? If you find yourself in a position to use up budget at year end, here are some tips, keeping in mind that this situation often holds the most risk for both the consumer and the vendor. First, don’t make impulse purchases. If you are using leftover budget for small hardware upgrades or for a solution you have had your eye on all year, great. But if the primary goal is to use up your budget by year end, you may be disappointed in the new year. Second, stop thinking about the budget, and don’t let the vendor focus on it either. Never tell a vendor you are using up end-of-year budget. This will often make them focus on helping you spend your money instead of solving your business problem. Start at the beginning of the purchase process. You can do it quickly, but any discussions internally or with vendors should be based on the problem you are using this excess budget to solve, not the budget itself. Third, keep in mind: Just because you have extra money doesn’t mean you shouldn’t get the best deal. Make sure prospective vendors take you seriously. Once you can clearly articulate the business problem you want to solve and have a vendor or two you have shortlisted, tell them this: We are interested in your solution to solve this or these specific problem(s), and we would like to complete the purchase process by the end of this year. Then make the vendor clearly commit to helping you meet your business goals. Do not let them shift the discussion to when you buy; keep them focused on your business goals. In this way, your timeline drives urgency instead of your budget. Speaking of timeline, make sure your vendor is upfront about exactly when your purchase will be ready for use. A mid-December purchase is unlikely to allow for a January 1 go live date—at least in our experience in the software realm. Folks who purchased back in October and November are ahead of you in the implementation queue. This is not to say that it can’t be done, but it’s essential to communicate effectively with your vendor about your expectations. Are you ending a long wait? As a vendor, I have the most confidence in clients who have been waiting all year to make a much-needed purchase. Typically the decision has been budgeted; they have spoken internally to evaluate their own and other’s needs; and they have had time to evaluate all the options. The risks for this group are maintaining their enthusiasm and living up to expectations. If this is you, consider this: How long ago did you do your evaluation? If it has been more than 3 to 6 months, it’s time for a refresher before you buy. This does not need to be a full redo of your initial process, but technology can change and your needs can change—enough to justify an hour or two for a new demonstration or discussion. Plus, you want to make sure your expectations are still based on what is possible. Often, when we anticipate something, our minds can start filling in details not there initially. A quick review with your potential vendor will sharpen your focus on what you are looking to purchase and, most important, why. A final note of advice for buyers: Proceed carefully where special offers are concerned. Vendors offer incentives to drive your behavior. Sometimes the incentives match your needs and timeline. But, often at the end of a calendar year, the incentives are more about creating excitement and encouraging impulse decisions than meeting consumer needs. As you evaluate any special offers, make sure you subject them to the same needs assessment as you do the main product you are purchasing. Often these free items carry lots of additional costs or effort on your part to take advantage of the offer. Also, what is your recourse if the free or discounted portion of the incentive doesn’t work? Many vendors have caused lots of business problems for themselves and their new customers with an offer that proved too good to be true. Good luck out there this shopping season, and happy holidays! 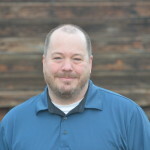 Mark Larimer leads the Client Services and Marketing teams at Foundant Technologies. Foundant is an Outside Magazine Best Company to Work For and an Inc. 5000 Fastest Growing Privately Held Company providing grants management solutions to over 850 grantmakers of all types and sizes. Mark’s high-tech career includes time with Extended Systems (acquired by Sybase) and RightNow Technologies (acquired by Oracle) prior to becoming a founding partner of Foundant in 2006.